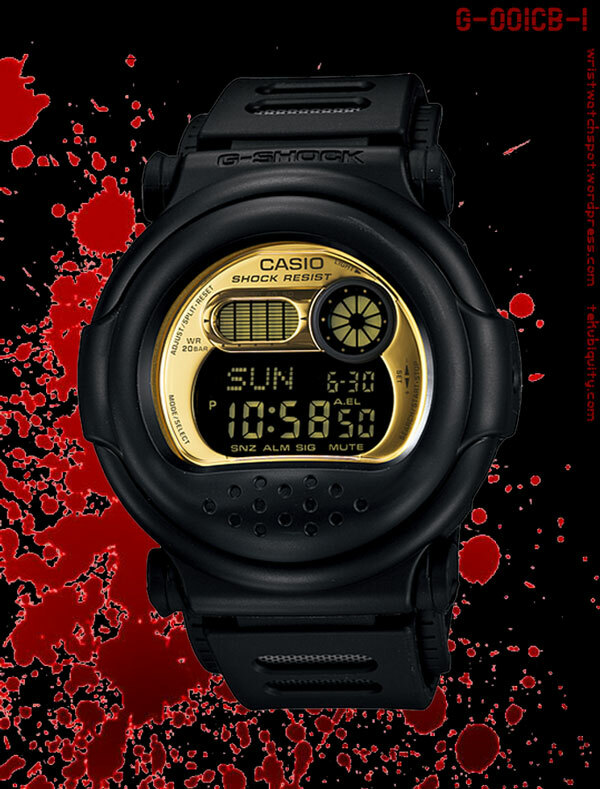 They don’t call it the Jason for nothing – it’s the ugliest watch line in the G-Shock brand. For some reason the design keeps selling and there is a cult following of it that rivals Rocky Horror. 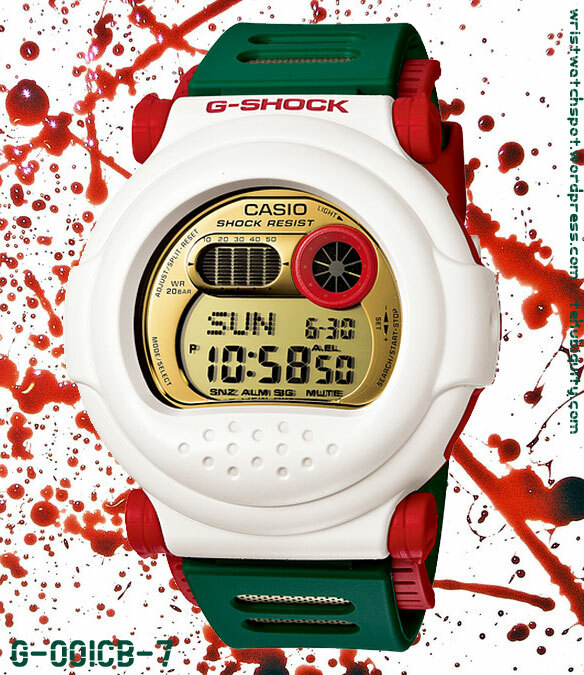 This launching of three new colorways includes both the most hideous (G-001CB-7) and the most handsome (G-001CB-1) models to date. The other one (G-001CB-9) looks like pus on gold. The theme is “Winter Gold Series,” but I don’t see the winter part of it at all. Red and green Christmas colors, maybe? Oh well ..guess I’m dumb. 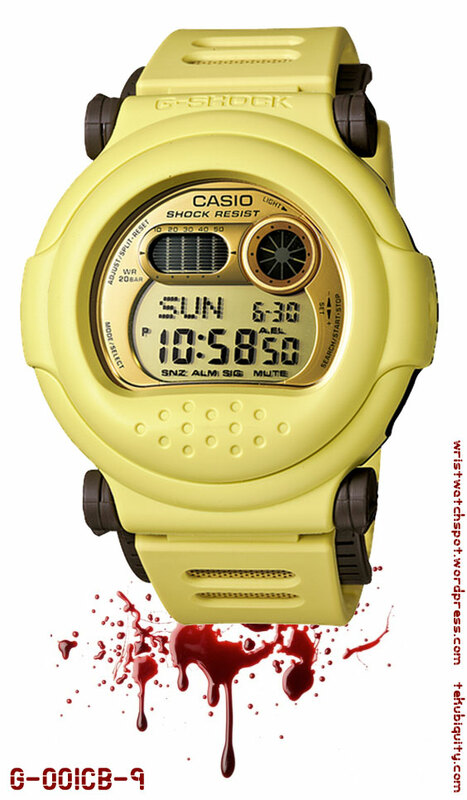 These watches are being sold in the Japanese market starting this month (October 2012) for 14,000 yen. There is no indication that they will be sold in other marketplaces and the past history of the Jason line includes some of the earlier models never getting beyond their own shores. 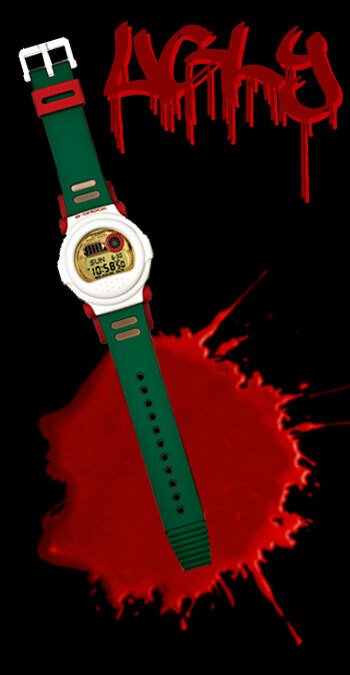 Make no mistake, ugly or not, these watches are collectible and would be a good investment. The black and gold model should fetch triple in two or three years. If you are interested in one, but have trouble finding it, leave a message in the comments below.